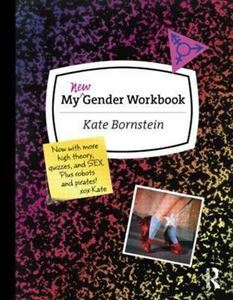 "This updated edition of Bornstein's formative My Gender Workbook (1997) provides an invigorating introduction to contemporary theory around gender, sexuality, and power. The original is a classic of modern transgender theory and literature and, alongside Bornstein's other work, has influenced an entire generation of trans writers and artists. This revised and expanded edition extends that legacy, offering an accessible foundation for examining gender in the reader's life and in the broader culture while arguing for the dismantling of all forms of oppression. For fans of the original, Bornstein's new material merits a fresh read..."--Publishers Weekly, starred review Cultural theorists have written loads of smart but difficult-to-fathom texts on gender theory, but most fail to provide a hands-on, accessible guide for those trying to sort out their own sexual identities. In My Gender Workbook, transgender activist Kate Bornstein brings theory down to Earth and provides a practical approach to living with or without a gender. Bornstein starts from the premise that there are not just two genders performed in today's world, but countless genders lumped under the two-gender framework. Using a unique, deceptively simple and always entertaining workbook format, complete with quizzes, exercises, and puzzles, Bornstein gently but firmly guides readers toward discovering their own unique gender identity. Since its first publication in 1997, My Gender Workbook has been challenging, encouraging, questioning, and helping those trying to figure out how to become a "real man," a "real woman," or "something else entirely." In this exciting new edition of her classic text, Bornstein re-examines gender in light of issues like race, class, sexuality, and language. With new quizzes, new puzzles, new exercises, and plenty of Kate's playful and provocative style, My New Gender Workbook promises to help a new generation create their own unique place on the gender spectrum.